Category Archives: A Man After My Own Heart…. I know, I know…we all have the best Daddy’s. But really, my children have been blessed with THE Best-est Daddy that ever was. He is the Daddy that say, “I’m NOT babysitting, it’s my own kids!” He’s a cuddler, he reads stories and he loves to put them to bed and snuggle. He has a busy schedule being a student at Bethel University (getting another Master’s degree), the mayor our community, and weekend warrior (soldier in the MN Army National Guard) and working a full-time job. Despite his demanding schedule providing for our family he still makes the time to be there for the kids and today was no exception. He works downtown Minneapolis so he leaves for work before the kids are awake and gets home in time for a late dinner. The kids don’t understand what a commute means and certainly don’t understand rush hour traffic being our town is so small there aren’t even stoplights. So this morning the kids awoke to something fun and very sweet to connect with Daddy today. Two of the boys ‘friends’ (Donatello the Ninja Turtle & Scott the dog) went to work with Daddy this morning! Mom got texts all morning so the kids could follow along. Every time my phone made a ‘Tweet’ sound they ran to see what Donatello & Scott were up to! It was a big hit. Lunches packed ready to go! The bus brought us downtown. Have to take the elevator up! As a large family (and one with a finance guy) a budget it critical. I giggled a bit as I typed that because as with most couples there is a spender and a saver. With us, it happens to be the finance guy who is the spender. Ironic right? Don’t get me wrong there are things on my wish list and I like to buy things too I just hold back more often than he does. We all have our vices. If I’m driving somewhere I have no problem not stopping at gas stations for snacks, etc. even when I’m hungry whereas he will stop for drinks, etc. I on the other hand spend money on stuff for the kids. They are fun to shop for! The only way to mitigate a financial disaster is being on the same page and both USING the budget. Both of those are equally important. Why? Even if you are both on the same page and agree you need to do something different with your money/spending/earning you both have to actually have a plan and follow it. Also, if you aren’t both actually in agreement on what to do or how to do it you’ll have problems and we all know money problems can wreak havoc on a relationship. Step 1: Talk, talk and talk some more. What are you both willing to do? Are you willing to give up credit cards? Are you ready to actually look at your finances? Ready to look at and accept the amount of debt you have? Are you willing to move to a cash budget? Are you willing to take the time to create a budget and adjust it each month? Are you willing to USE a budget? Are you willing to discuss spending regularly? These are are all very important pieces and can’t be done quickly. Communication is key. For us we talked about needing to do something for months before we were able to actually make a move and DO something different. Step 2: Create a budget. After a few years we now have a process that works for us. We have a budget in a spreadsheet format that we discuss each month. (We use something similar to the Dave Ramsey philosophy) We take a look at the calendar to plan for expenses such as birthdays, parties, holidays, special meals, trips, car maintenance, etc. At this time I also put together the shopping list for the month so we have a good idea of how much we need for groceries, etc. This takes time but is a big help for us to know what we need to adjust for that month. We have learned the hard way that if we don’t adjust the budget as needed we won’t follow it. It needs to be reasonable. We start by figuring out the bills that need to be paid such as car payments, house payments, utilities, etc. After that we go through needs/wants. Our categories are not what others may use but they work for us. Grocery (food), Target (Toiletries, cleaning supplies, clothes, etc.) Gas (fuel for auto and lawn care), Eating Out (restaurants, snacks, coffee), Car Repair/Maintenance (oil changes, filters, etc), Misc. (Birthdays, etc.) These are all categories that have an envelope with cash in them. It’s much more painful to hand over cold hard cash than zip a debit card through a machine. I also feel I pay more attention to the amount I spend when I use cash vs. card. Step 3: USE IT! The first few months you may be excited about the change or maybe are still needing encouragement….regardless, you need to keep at it. It takes time to get used to it and sometimes you’ll slip up. We are all human and prone to make mistakes. The budget honeymoon phase may wear off and you accidentally use your debit card. It’s okay. It’s just a matter of getting back to it. As I said before, it takes constant communication. Talk with one another about what is challenging and discuss how to mitigate it. For example my husband really struggled with spending money on lunches during the workday. We talked about it and decided bringing lunch would help. He tried brining soups, etc but he still bought afternoon snacks. We talked again and then I started packing lunches for him including snacks and he stopped spending money on eating out and vending machine snacks. Little things like that can make a big difference. It’s more work to stay within the bounds of the budget but feels good to pay off debt. Slowly, but surely the debt does get paid off and that my friends feels great! I think my favorite part of our budget and planning is that we are teaching our children financial literacy. We are transparent with our children about how much things cost whether it’s college tuition, clothes, food or trips. It’s not that we want them to ever feel guilty but rather we want them to realize money doesn’t grow on trees it must be earned and that we need to be prudent with how we utilize it. We talk with them about spending, saving and donating money. My husband is very supportive of all of my races. He has sat in the rain with all of the kids while I participated in a triathlons, he has sat the van with the kids while they napped during races, he has driven the race route of a 10k with the windows down while he and the kids cheered me on. He is such a sweet guy! 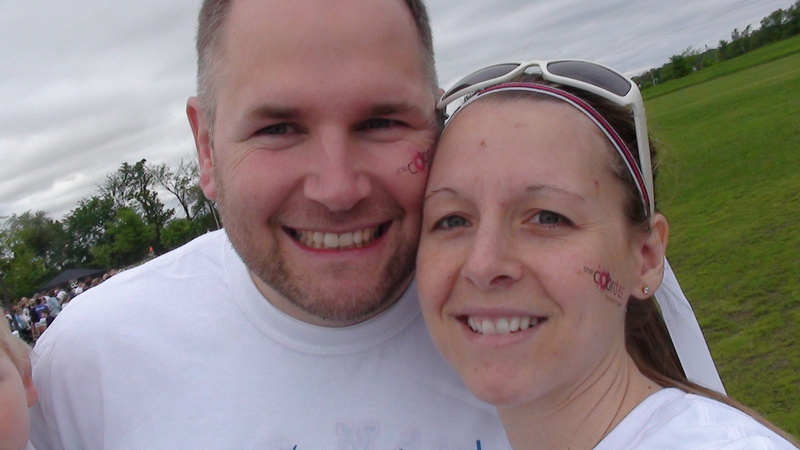 He has done a tri with me years ago as a team and has done a few 5k’s himself or with the kids and occasionally as a family. participating and YES, we had a double jogging stroller but they changed their minds as to whether they wanted to ride, run or walk. 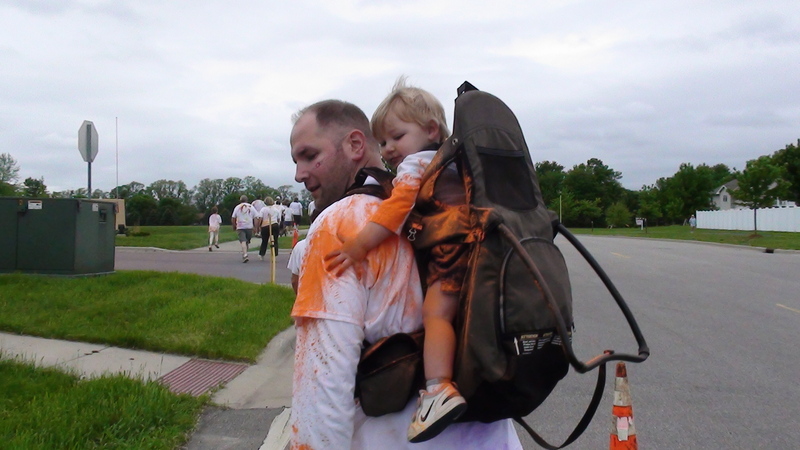 Regardless of what the kids were thinking my husband was flexible and would pick them up and carry them when they wanted him to. He was such a trooper! 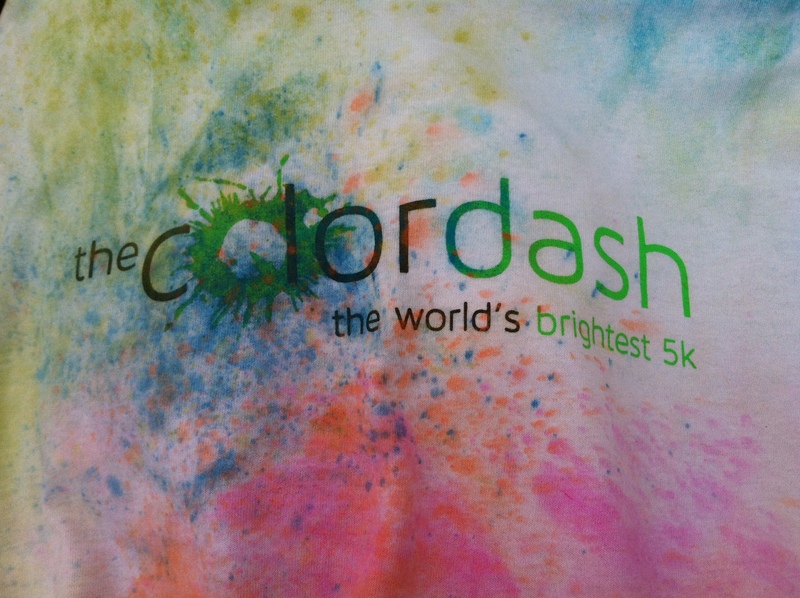 If you ever get a chance to do a color dash it’s a fun 5k. I opted to use a rain cover on the stroller which was a big help to keep the kids clean who didn’t want to get all colored. I used zip-lock bags to keep our cameras clean and brought blankets to cover seats for the ride home. 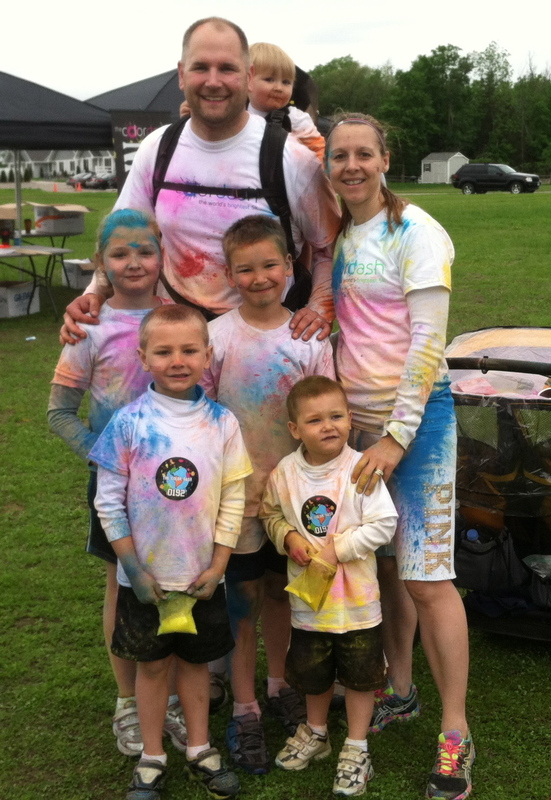 Despite the messy nature of the run it’s really a fun 5k that is a good time for the whole family. A great way to stay active, participate in a race and an event where the whole family can join in. My husband enlisted in the National Guard when he was 17 long before we met. While dating in college he had his weekend drills where he was gone and as a poor college student I worked so it didn’t affect me as much. (Yes, I did miss him though). There were a few weekends he had to miss out on some big events but I dealt with them as they came up. Fast forward and we are married and have a baby. I REALLY missed him while he was away and even came to see him when I could with the little one in tow. Being a first time mom with a little one was a bit of a struggle without him but I made it through. Fast forward again and now we have a large family. He felt the desire to re-enlist & I was very supportive of his decision and even brought the kids to see him swearing in. This time around has been very different from the first. With a larger family it has been more challenging while he is away but I can’t complain because he is not currently deployed. I was scared he would have missed the birth of one of the babies but that didn’t happen, (Thank God). One other large difference is how helpful people have been. Anytime things are crazy and I am flying solo with my crew people have offered to help in a number of ways. This has been amazing and a life saver. I am so thankful to those who step up and offer to help whether it’s holding the door for me when I am coming through with my entourage, helping to carry out groceries or taking my shift to work the penalty box at my son’s hockey game. It’s hard enough to be a Mom. I can’t be Daddy too nor do I want to be. My husband is an amazing father and all of our children look up to him. He works hard to provide for them during the day, serves his community, serves his country, prays with them at dinner and reads them stories at night. 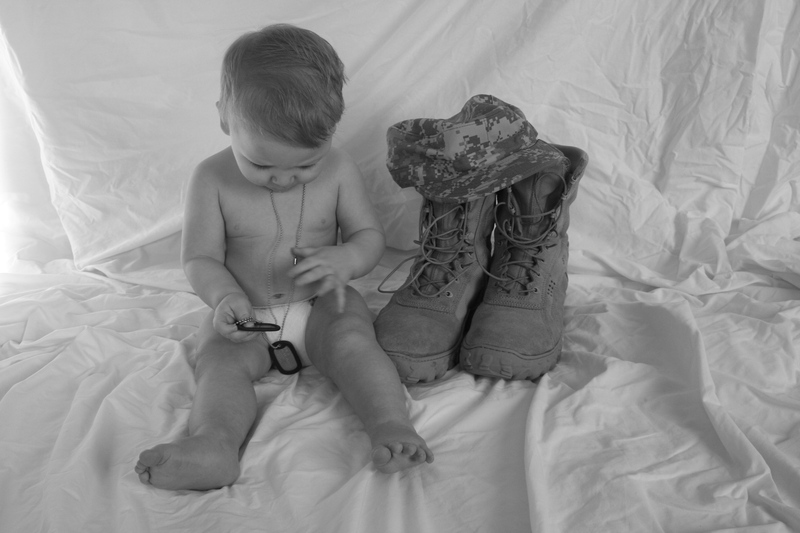 He is a good Dad, a good soldier and a great man. I miss him terribly when he is gone but am proud of him for serving and thankful that there are so many men and women willing to sacrifice to serve as well. Time for scrapping? Yeah right! Okay so I love to scrap and used to have plenty of time to do it. Obviously as our family has grown my time for scrappin’ (well, any amount of time for myself) has shrunk. I am totally okay with it. One would expect it….Recently I put this to the test but first let’s set the scene. I am a hockey Mom with 3 of the 5 kiddos playing each season. At the end of the season there is a big event to celebrate the end of the season for the little ones and it includes locker room signs, posters, medals, and lots of food. I volunteered to help make the posters and signs because I know what is expected having made some in the past. was planning to use so we could coordinate. I was a bit confused until she explained she has a Cricut. A what?? I guess I had been in the dark. I head heard of such a thing but didn’t know much about them. After a few google searches, a demonstration from an experienced Cricut user I was pretty convinced I wanted one. (Thank you SC for showing me the super cool Cricut) More time on the web found me one that I wanted on craigslist and a few cartidges on eBay. I contacted the person on craigslist and recieved no response only to find out a the next day that my husband had been texting with her when he saw that I was interested in it. He surprised me with that very contraption! Yes, he can be pretty sweet. The posters and signs are complete. The Cricut was so slick and easy to use. It really boosted my scrappin’ efficiency. I can honestly say I can get more done with the aid of the Cricut than my old die cut method of letters, etc. (And if you are thrifty you can find a used one pretty inexpensively). As a little girl I played barbies, played house, etc. and had all kinds of little girl dreams of what my future husband would be like. They usually involved a knight in shining armor on a white horse or a prince of some sort. I have to admit, I got all I dreamed of an more. He is so stinkin’ amazing! One of his ‘Menne’ talents have to be his handyman skills. I can be a pretty demanding woman because I tend to like things in what some may refer to as apple-pie-order. (Yes, I will admit to being a control freak). In order to keep things neat and orderly with 5 kids there have been some things I wish for and things I dream up that I don’t even know even exists. Somehow, someway he manages to understand what I am conjuring up and then makes it happen. 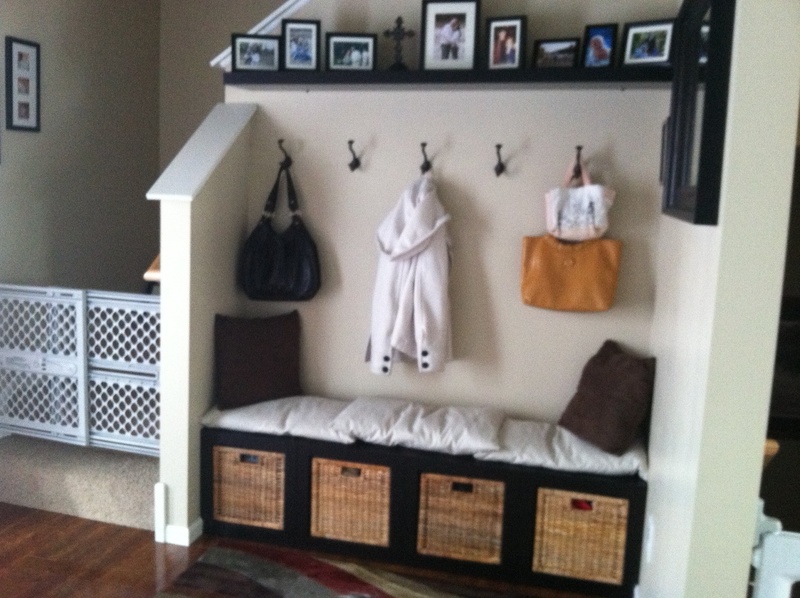 We have a locker system for our family when we enter the house through the garage but places to hang up coats, put on shoes, etc. when guests come has proven to be a challenge. We had a small piece of furniture with had hooks on it and a bench connected to it but it had been moved a few too many times and was broken and really too small for the area. Feeling like the entry way was not a functioning part of our home and without a place for people to take off their shoes without getting water and dirt on the hard floors I decided it was time for a change. As luck would have it, many stores have specific ‘entry way solutions.’ Who knew?? I guess not me. 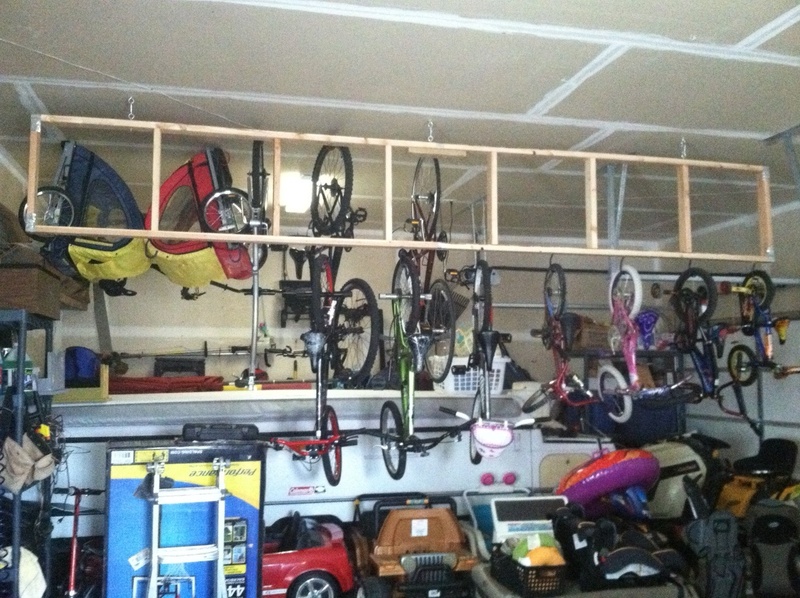 We’ll, after searching many DIY blogs, articles and stores this is what I dreamed up. 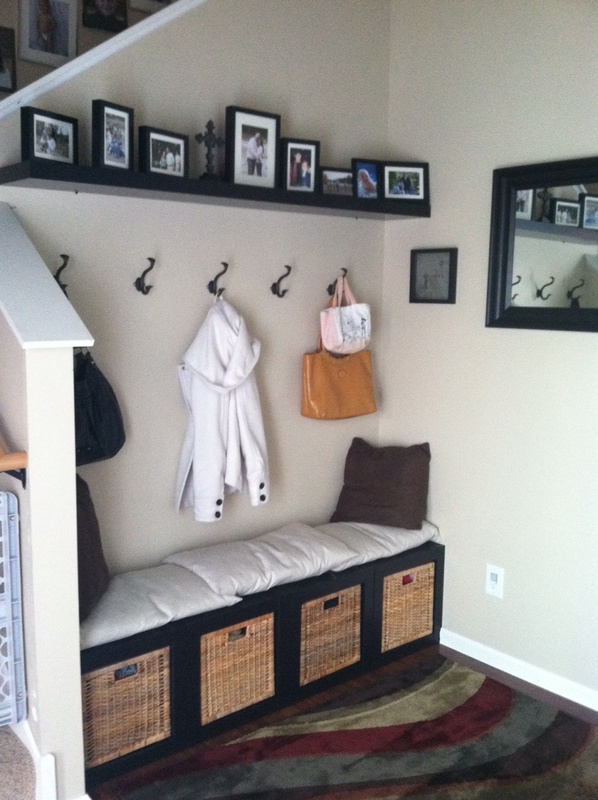 A large rug to allow for moving with shoes and a place to put them, a bench to sit down and put your shoes on, a place to hang up coats, a shelf, frames and mirror to give it more of a home feel. Of course my husband was able to deliver. After a trip to Ikea & Menards that is. We removed the trim and inserted storage cubes are from Ikea to serve as a bench. The pillows/cushions didn’t fit perfectly but I decided close enough. The shelf, frames and mirror were also Ikea. The hooks & rug came from Menard’s. The square frame is a shadow box which houses the skeleton keys that were the actual keys from our first house. I now feel this part of the house is really connected to the rest and completes our home.